Imagine yourself on a hiking trail, your favorite song is playing and by mistake, you tug on the cable. And bam! The wire connecting the headphones to your device has been disconnected. Pretty annoying, right? Well, the good news is that you can rectify this by upgrading your travel devices collection. It is time to get yourself wireless headphones, ladies and gentlemen. With wireless headphones, you can enjoy your travel escapades with no interruptions. Be it on the flight, or when trying to find your way in a public means of transport. 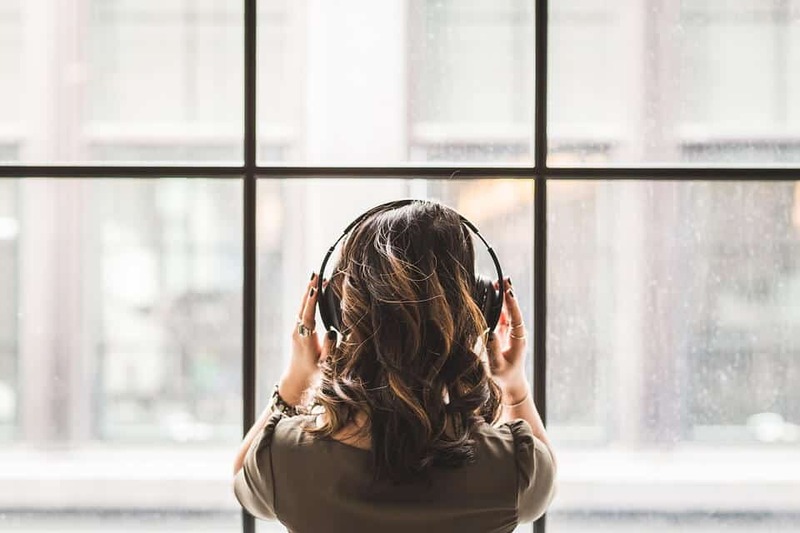 Due to the many models and brands of wireless headphones out there in the market, we have narrowed the search down for you. 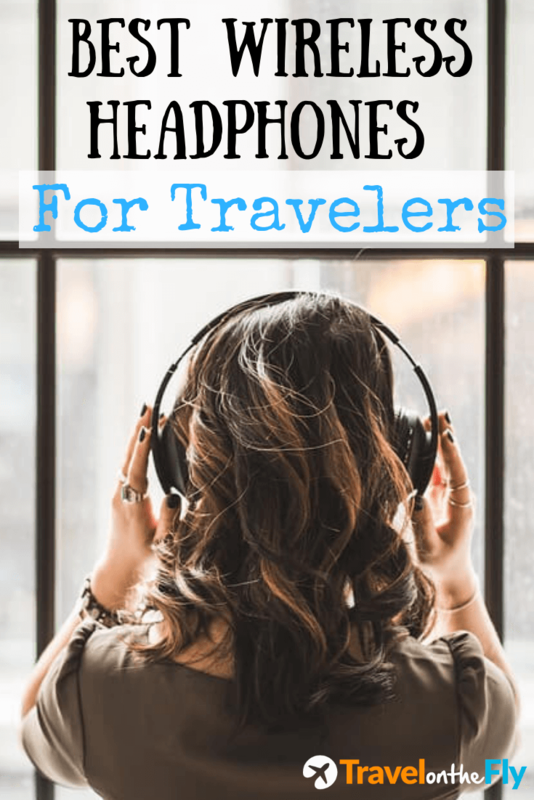 Today’s list contains some of the best wireless headphones for travelers that you can spend your money on. If you are a fan of Sony’s sound systems, then you have a winner! 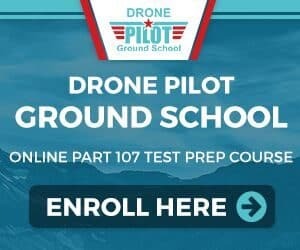 This 2018 model is an improvement of their WH-1000XM2 model, which was also quite a catch for a traveler. With a wireless range of 30ft, a battery life of 30 hours, and quick charge that can last up to 5 hours when charged for 10 minutes, the Sony WH1000XM3 is one of the models that is giving Bose’s headphones a run for their money. The quality of sound these wireless headphones offer is nothing short of what you would expect from Sony. While ensuring they offer the best on the sound, the noise cancelation feature is not compromised. So, you can use them in a crowded place and still get to enjoy your audiobook or music. They are pretty light (275 grams), and comfortable on the ears. Regardless of the fact that they are wireless, they come with a wire cable that you can use when you feel like switching back to wires. Sensor controls, which allows you to control volume, answer calls, control playlist, and even activate voice assistant by just touching. Quick attention mode for quick conversations. You do not have to take them off. One of the best noise cancelation headphones in the market at the moment- probably the best since it is better than Bose’s QuietComfort 35 (II). The quality of sound for calls is not that good. If you are considering getting a pair of wireless headphones with quality sound and noise cancelation, then the Sony WH1000XM3 headphones are the real deal. Before Sony perfected their noise cancelation features this year, Bose’s QuietComfort 35 (Series II) headphones were the in thing. That’s not to say that they have lost it. Actually, they are amongst the best noise cancelation wireless headphones in the market today. What makes them even better is the fact that you are the master when it comes to controlling the noises around you. Their advanced technology allows you to control the noise cancellation feature, and noise, depending on your environment. When it comes to calls, they perform way better than Sony’s WH1000XM3, thanks to their dual-microphone feature. They still come with a wire cable, which can actually help you save the battery. The battery life when wireless is 20 hours and 40 hours when used with the wire. They are light, weighing only 0.68 pounds, very comfortable, and have NFC. Excellent noise cancelation for a traveler, regardless of the environment. Dual-microphone features that allows you pick-up calls and offers quality sound on calls. They do not have an instant mute or autoplay and pause. We feel that these are one of the best wireless headphones for travelers. 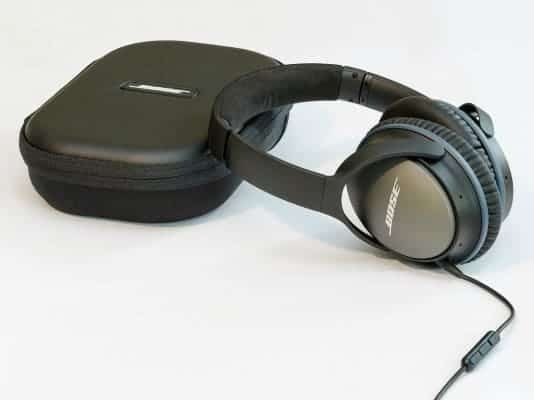 You can grab the Bose QuietComfort Series II here. Competing with Sony’s WH1000XM3 in terms of sound quality are the Mpow 059 wireless headphones. For a traveler who is actively looking for great sound in wireless headphones, and at a budget, then these headphones will work just great. The ear cushion is made of Memory-protein, which makes them very comfortable. Better still, you can adjust them depending on the size of your head using the stainless-steel slider. They also come with a wire in case you want to switch. The built-in microphone is good for making calls. You also do not have to worry about the battery because it can last you for 20 hours, and if it drains, just insert the wire and you are good to go. Easy for carrying thanks to their foldable design and portable bag. Ability to adjusts for fitting purposes. Comes with an audio cable that you can use on wired mode. This way, they will not power off. If not stored in a cool environment, the protein-memory on the ears starts to crack. There is noticeable latency when watching. Get your Mpow 059 wireless headphones for a great price here. For those that are not willing to dig deep into their pockets- which we understand by the way- then the COWIN E7 over-ear wireless headphones are the way to go. Traveling is not that cheap, so wanting to save as much as you can is allowed. And, you can save and still get yourself a pair of quality wireless headphones so you don’t have to be bored when traveling. Their Active Noise Cancelling Technology, which works with both the wire and wireless, is good. The sound quality is great, where they offer quality bass. The battery for these headphones is built-in and can last up to 30 hours. They are comfortable on the ears, thanks to their Protein Earpads and the swiveling earcups. They come with an 18-month warranty. NFC technology and a built-in microphone. Light in weight making them ideal for a traveler. They will not weigh you down. 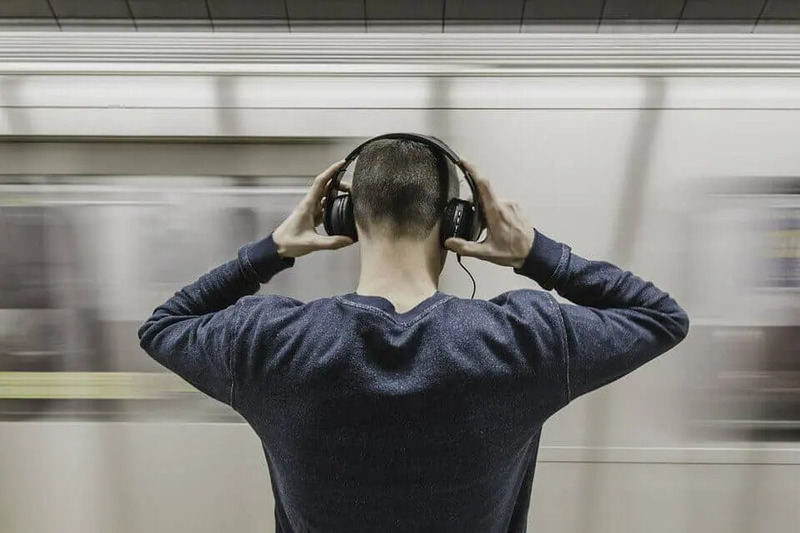 Compared to Sony and Bose’s wireless headphones, their noise cancelation in environments with loud noise is not that good. Their plastic build could use some improvement. Get your Cowin E7 from Amazon and start enjoying your audios while traveling. These over-ear wireless headphones weigh just 310g, making them lightweight and ideal for any traveler. Their wireless range of 30+ ft and battery life of 40 hours probably gives the rest on this list quite a competition. They also have a detachable cable. You can rest assured that the sound of your audio will be excellent courtesy of their 45 mm drivers. Your comfort is not compromised either, and their ability to rotate makes them foldable for storage. They also come with a pouch that you can for storage when not in use. If you want to use voice assist, then the touch controls will come in handy. At an affordable price, you can own a pair of these headphones. 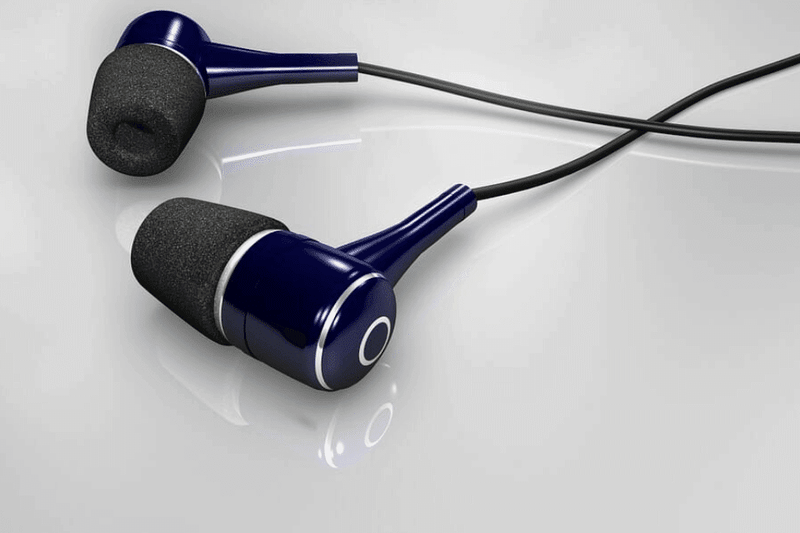 The earcup has built-in controls (mic and button). You can use these to control the playlist, calls, as well as adjusting the volume. The build leaves you less worried in case they are handled roughly. The design could use some improvement. Check out the Audio-Technica ATH-M50xBT on Amazon here. Last but not least on our list today are the Beats Solo3 On-Ear Wireless Headphones. Their battery life is ideal for a traveler, especially for watching movies on long flights or hiking trails. It can last up to 40 hours on full charge. A quick charge of 5 minutes can last 3 hours. 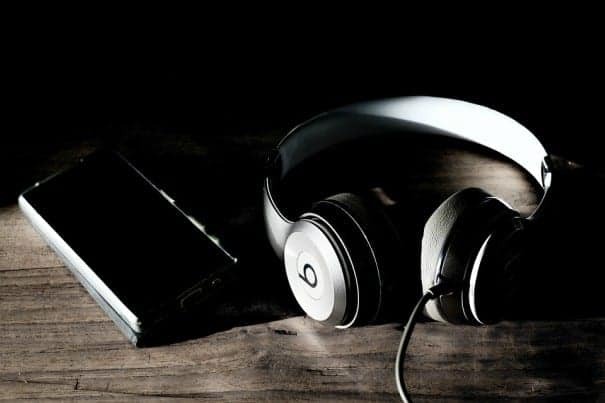 Just as the name of the headphone goes, the beat of the sounds you are listening to is delivered in great quality. The cushioning on the ear cups makes them very comfortable. Apart from this, they help in buffering any noises within your environment. Additionally, they are adjustable and can, therefore, be adjusted for comfort. The multi-functioning on-ear controls can be activated for Siri, controlling anything you are playing, as well as answering calls. These are on the right side of the ear cup. They are ideal for a traveler due to their light weight and ability to be folded for storage. For safety when carrying, come in a case, plus a charging cable and a remote talk cable. Can be adjusted for fitting. Are foldable for easier storage. Comes with a remote talk cable (3.5mm). The headband tends to have some pressure, which can be a bit uncomfortable when used for long. Grab a pair of Beats Solo3 Wireless On-Ear Headphones on Amazon. So, there you have the best wireless headphones for travelers. The list includes wireless headphones for every budget. 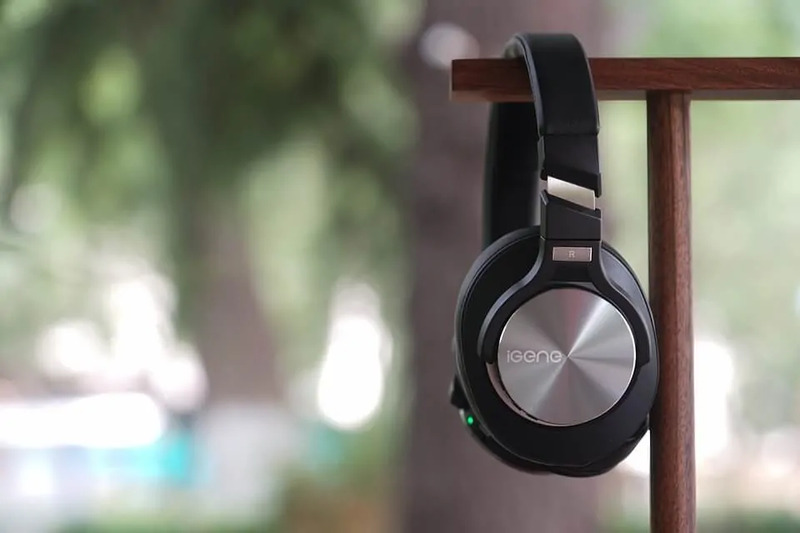 In case you are looking for something that does not leave you with an empty wallet, then the Mpow 059 and COWIN E7 models are the wireless headphones to go for. For travelers looking forward to spending some quality time on their audio, even in noisy areas, the Sony WH1000XM3 and Bose QuietComfort 35 (Series II) are for you. They offer quality sound and noise cancelation as well as sensor controls for volume, playbacks, and calls. Enjoy!